Weight gain is a real concern for many college students — not just freshman and not always a specific number, sometimes less, sometimes more than thought. • A decrease in regular physical activity or sports involvement. • Access to more varied and unlimited food choices. • Drinking more caloric beverages such as higher-fat, sugary coffee drinks, soda, energy drinks and alcohol. • Increased stress levels and disrupted sleep patterns. Sound a little too close to home? What can you do? The best solution for avoiding college weight gain is being aware of your daily calorie intake. Since both food, activity and other lifestyle factors play a role in weight management, try a brief journaling experience. Include daily meals, snacks, beverages, sleep and stress management techniques along with physical activity to help keep weight in check. • Eat breakfast. Try not to skip meals, especially breakfast. As the first meal of the day, breakfast keeps your metabolism humming and decreases overeating throughout the day. Even something small like a handful of nuts or a latte can provide the start you need. • Watch portions. Pay attention to food choices and portion sizes in the dining hall. Try a taste if you don’t think you may need a full portion. • Make smarter choices. Emphasize nutrient-rich foods and beverages, including vegetables, fruits, whole grains, fat-free or low-fat milk and milk products, fish, lean meat and poultry, eggs, beans and nuts and seeds. Try these foods first before moving on to others with added fats, sugars and salt. • Choose fats wisely. Avoid too many fats from fried foods and sweets. Choose more healthful fats from nuts, seeds, olive oil, canola oil and avocados. • Drink low-calorie beverages. Skip the regular soda and opt for low-calorie choices such as water, low-fat or fat-free milk, unsweetened teas and coffee. • Consume alcohol in moderation. This means up to one drink per day for women and two drinks per day for men, and only by students of legal drinking age. • Increase your movement. Get moving with at least 30 minutes of moderate-intensity activity most days of the week. Moderate-intensity activities include walking, jogging, biking and stair climbing. Take an elective dance or sports class. Activities of daily living, such as walking to and from class and parking your car further away from campus, burn calories, too. • Consider that wellness is not just calories in and out. Keep to a regular sleep schedule, socialize and communicate with friends, deal with stresses at the University’s Stress Free Zone. And join the Student Health Service in celebrating National Nutrition Month 2017 “Put Your Best Fork Forward”. This is a reminder that each bite counts! The 2015-2020 Dietary Guidelines for Americans suggest starting with small changes in order to make healthier lasting changes you can enjoy. National Nutrition Month® inspires us to start with small changes in our eating habits – one forkful at a time. So whether you are planning meals to prepare at home or making selections when eating out, Put Your Best Fork Forward to help find your healthy eating style. 1. Create an eating style that includes a variety of your favorite, healthful foods. 2. Practice cooking more at home and experiment with a variety of nutritious ingredients. Look forward to the summer months to practice new skills or recipes. 3. How much we eat is as important as what we eat. Eat and drink the amount to keep you in balance, as MyPlate encourages us to do. 4. Find activities that you enjoy and be physically active most days of the week. 5. 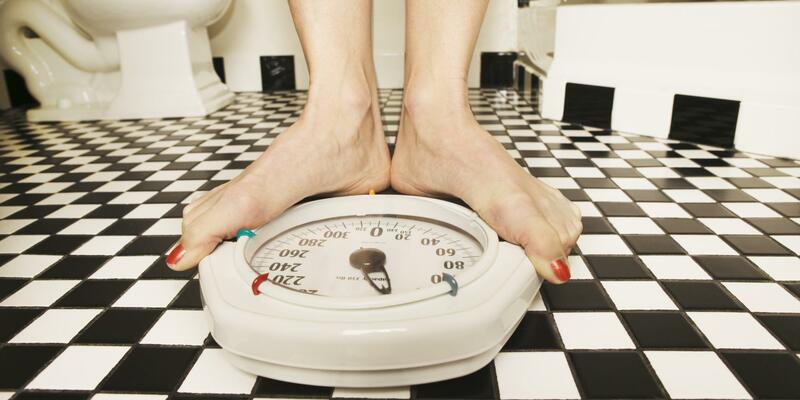 Manage your weight or lower your health risks by consulting a registered dietitian. RDs can provide sound, easy-to-follow personalized nutrition advice to meet your lifestyle, preferences and health-related needs. Contact the Student Health Service at 412-383-1800 to make an appointment.